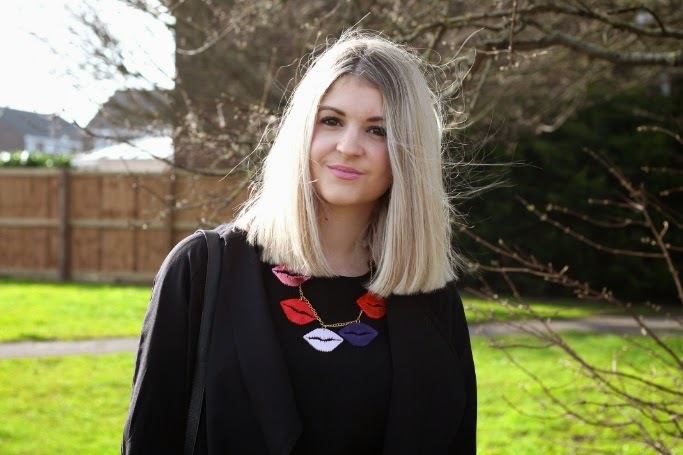 We have to admit to letting out a little yelp when we caught the first glimpse of our Smooches Necklace in these photos of blogger Tilly-Jayne! The colours so vivid against the simple monochrome palette - we are in LOVE! 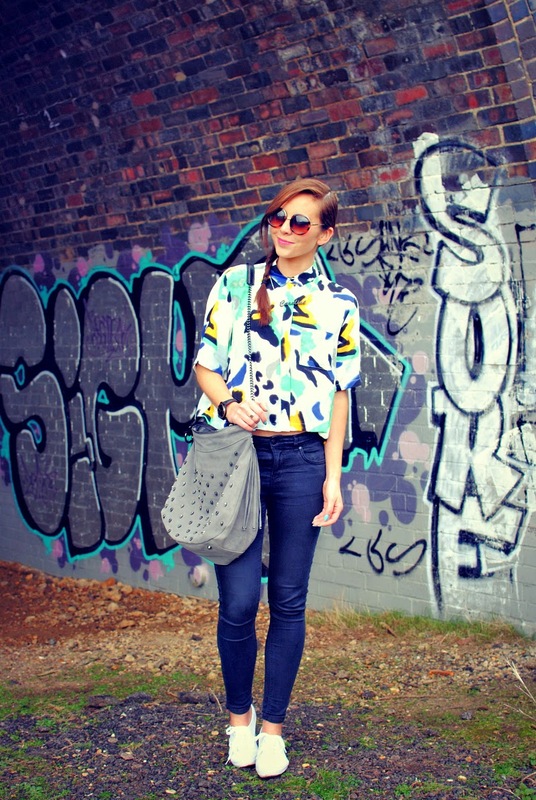 Super stylish blogger Caroline of Burkatron blog teams our kitsch Name Necklace with a rather snazzy shirt and retro shades! If we had to reveal our biggest weakness then junk food would definitely be up there on the list. So, imagine our delight when we heard that there's a guilt-free way to enjoy a bit of the old fried food. 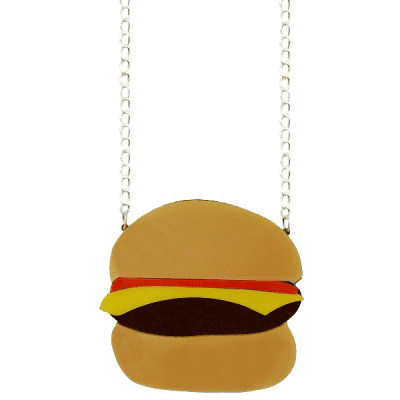 Yep, fashion's gone cray-cray for fries, burgers, milkshakes - basically anything with an explosive calorie content. 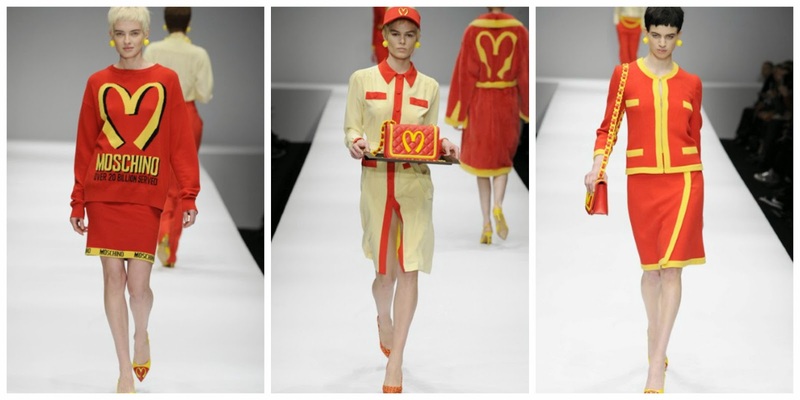 Moschino's take on ultra fast fashion at Milan Fashion Week was absolutely incredz. 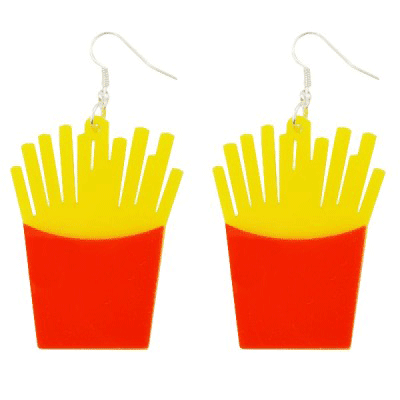 From catwalk to store within minutes - this ain't no A/W 2014 show - this is just how we like our fave junk food, FAST! 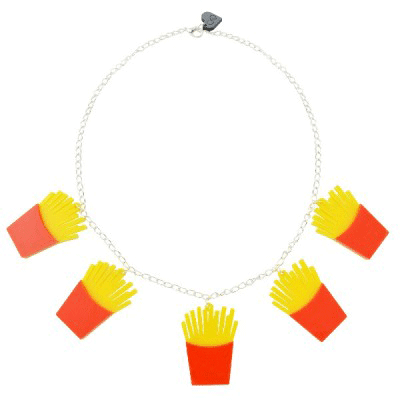 Our #JunkFood collection symbolises fun, kitsch and throwing caution to the wind by saying 'yeh, I am wearing some french fries around my neck - and?'. The bright colour palette (predominantly yellow and red - yikes!) and the striking acrylic designs are made for one reason only - to create a talking point! Go bold or go home! Get lippy with our new collection! 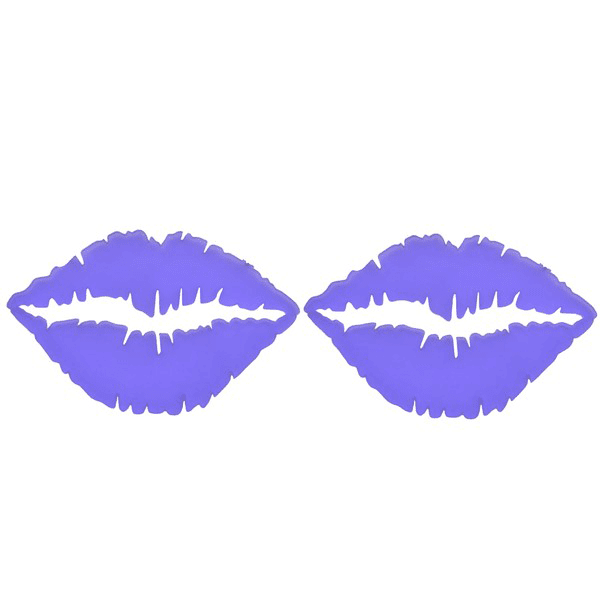 Smooches features a gorgeous range of acrylic lips jewellery in a wonderfully girly palette of bright red, fluoro red, pearlescent pink, pink mirror and frosted purple - just like our fave lipstick shades. We're lips mad here at Chelsea Doll HQ, so when Giles put-on a lips extravaganza for his S/S 2014 show we knew we had to get a slice of the action! The deep purple and metallic pink hues are absolutely electric - we cannot get enough. 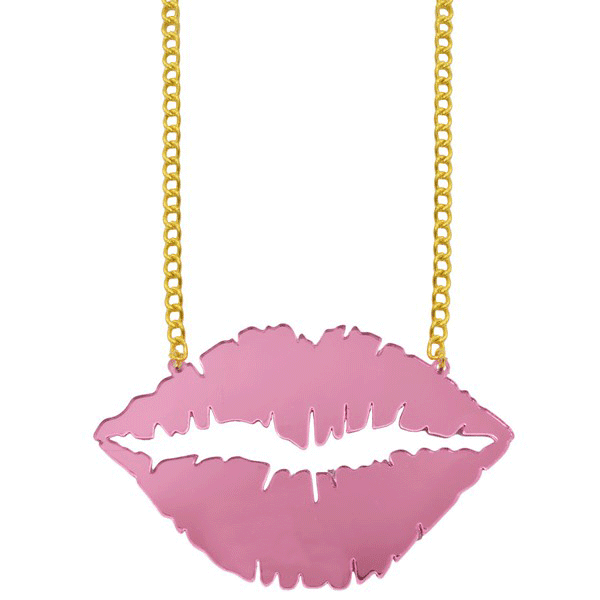 Go bold with one of our Lips Plate Necklaces, or for a more subdued look check out our cute Lips Stud Earrings. 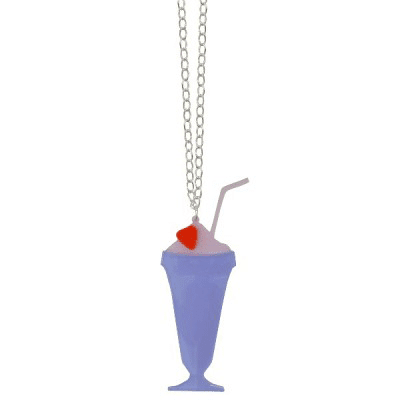 Our hero piece is the Lips Charm Bracelet - kitsch overload! 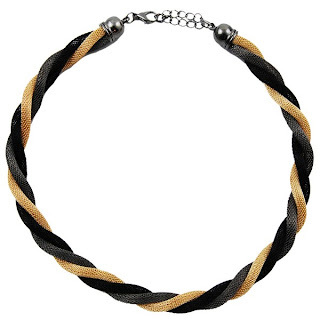 Our latest A/W 2013 collection is named Chained which is kinda good because it's FULL OF, er, chains... 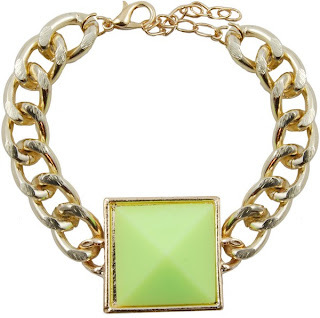 The go-to jewellery trend this season, especially good to toughen up a look, chains are one of the easiest accessories to wear. Channel Rihanna (mullet, optional) and Rita Ora for instant kudos. 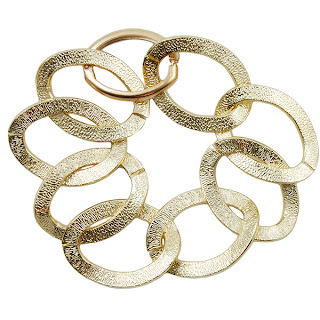 Whatever the metal, whatever the tone - mix and layer it! It's here! The first of our new season drops has LANDED. We heart the autumn/winter seasons, probably due to their dark, mysterious nature, their penchant for layering and our love for the seasons' fashion ringleader - the oversized coat. 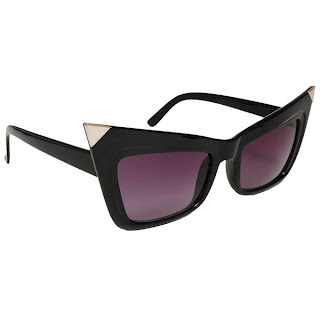 So, imagine our surprise when we discovered that one of the key trends this A/W was to be the irreverent PINK! 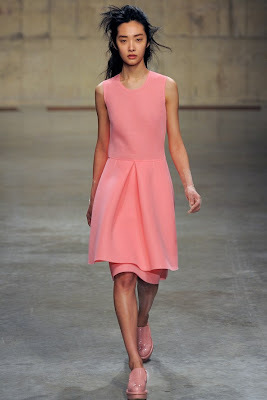 Pink was all over the catwalks during the fashion weeks in February. 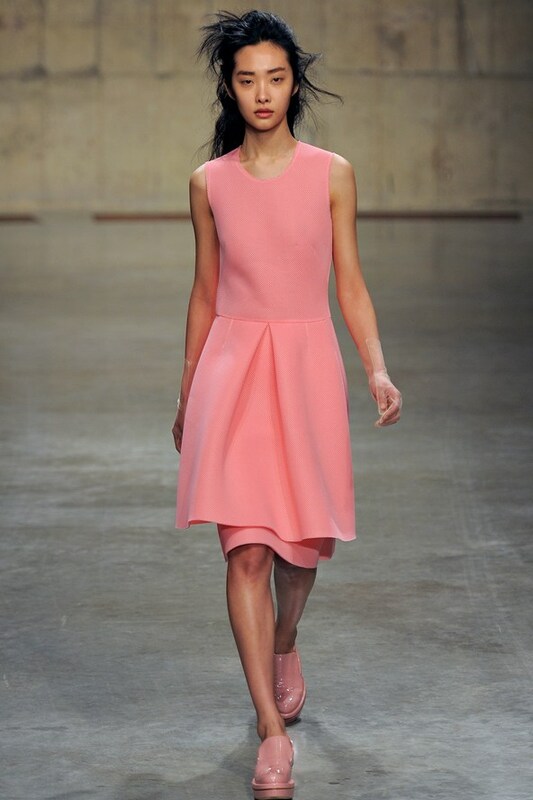 Who can forget Simone Rocha's delightful display of gorgeous bubblegum, sherbert and powder pinks. Oh man, that wafer-mesh dress, get in our wardrobes already! Nail two trends in one (and keep warm!) 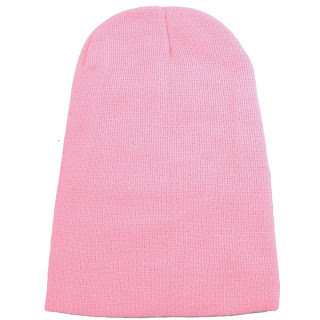 with our Bubblegum Pink Beanie Hat, £8. 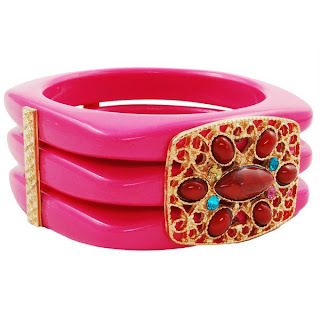 This Neon Pink Bead & Crystal Panel Square Stack Bangle, £13, is made of stern stuff - proper statement arm candy! 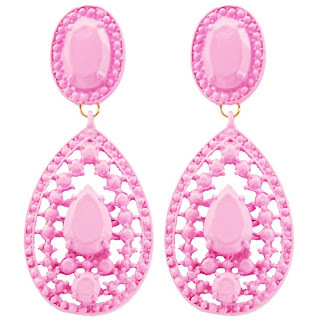 These powder pink Filigree Drop Earrings, £8, are an easy way to channel vintage chic with a modern twist. 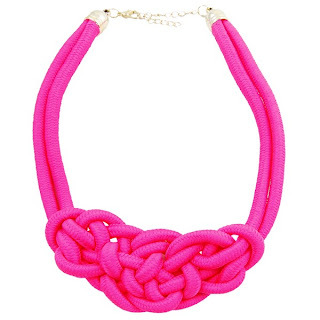 The hero piece of the collection is this Neon Pink Rope Necklace, £11. 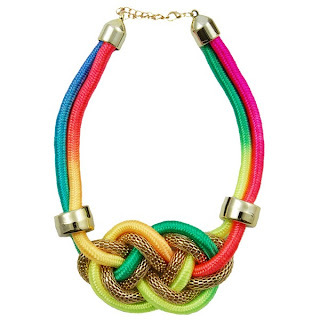 Bright and beautiful it's screaming out to be paired with a simple white tee! So we had our first television appearance today. Well, we say 'we' but the star of the show was our Catseye Sunglasses who were a part of a monochrome fashion feature on ITV1's This Morning. 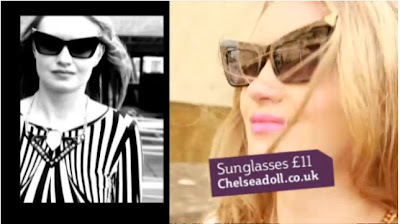 Monochrome is a huge part of S/S and styling our chic Catseye Sunnies with a slick geometric print midi dress, is fashion kudos right there!